Ian Hamilton Finlay was many things: a poet, writer, philosopher and gardener. His legacy lies at Little Sparta, Stonypath; a classical garden he created in 1966 within a Scottish moor, that celebrates the power of words within a natural environment – a unique ‘poem of place’. Working with his collaborators, such as engravers and letter-cutters, Finlay made works that used text and concrete poetry, explored within sculptural objects, neons, prints and booklets. The texts cover a whole range of subjects: the Enlightenment and the French Revolution, pre-Socratic philosophy, garden history, World War Two, the sea and fishing fleets, time and mortality. In 1961 he founded Wild Hawthorn Press with Jessie McGuffie, mainly to introduce contemporary artists to Scotland, and which over the years focused on Finlay’s printed works. Around 1962 up to 1968, he produced a periodical entitled ‘Poor.Old.Tired.Horse.’ which helped introduce Concrete poetry to the UK. The first issue contained rural Scottish lyrics by George Mackay Brown alongside Mayakovsky and Apollinaire. 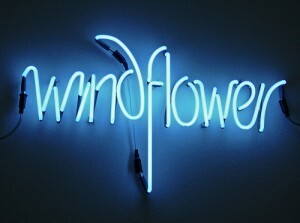 Some of his work can be seen at Ingleby Gallery in Edinburgh until 27 October 2012.